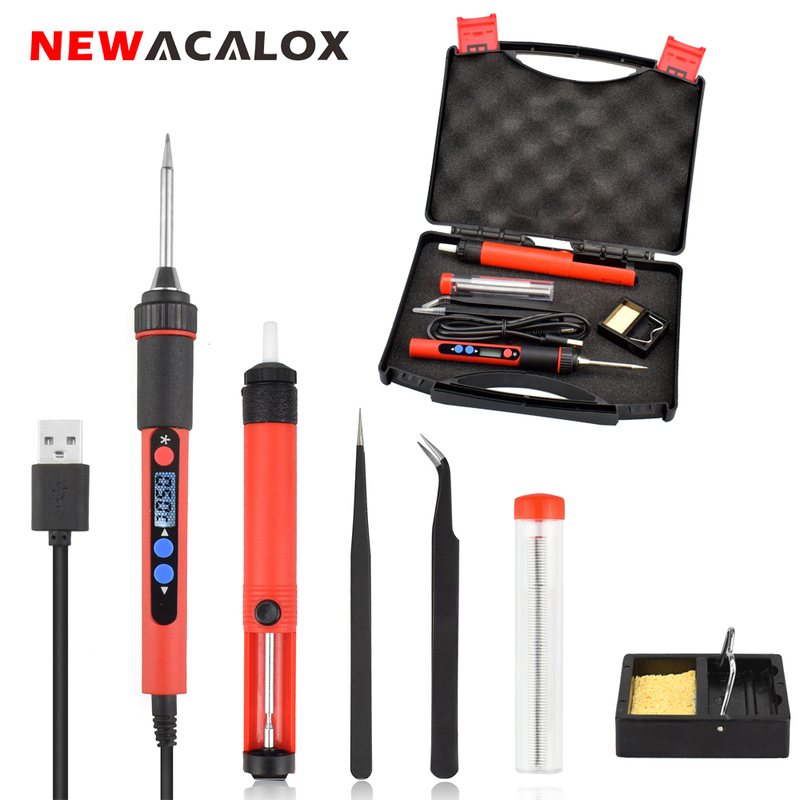 1.The Soldering iron kit can meet all your soldering work needs with all fitting included,lead-free soldering iron,desoldering pump,tweezers,tin wire,soldering stand,iron tip,making your soldering more easy and comfortable. 1.Portable digital soldering iron with USB type power port supporting 5V/3.5DC standard which can be applied to power bank, recharger, car USB interface, etc. 3. Imported heating element with small power,rapid heating,you can desoldering after in for 1 min. 6.Large screen of high-definition digital display can display temperature clearly and accurately. 7. Energy-efficient,power consumption 70% lower than ordinary soldering iron,which is more energy conservation and environment protection. (1).Inside mini CPU digital control circuitry,control the temperature critically. (2).Quick heat-up and faster thermal recovery,permitting high quality soldering work. (3).With light and handy body,no feeling of fatigue for long period of operation. (4).With particular LCD display which with back light,display the set temperature clearly. 2.Desoldering pump:Quick and easy solder residue clearance. 3.Welding Iron Wire:1mm width ,with a low melting point, usually used in iron soldering with bright and full soldering points. 4.Tweezers :Anti-static and anti-magnetic,designed to meet the requirements of the electronics.